No matter what kind of bag you’re buying for your outdoor adventures, we recommend that you never abandon them. The most obvious reason for this advice is not being stolen, we must also take into account that the unaccompanied baggage is almost always removed for fear that the case of an explosive device planted by a terrorist. But particularly outdoors, leave a backpack for allegedly going to find it later means running a great risk unnecessarily. In the mountains, in the middle of the dunes of a desert, jungle and even in the plain, it can be difficult to find with sufficient accuracy to return to the same site that was abandoned a few hours or days earlier. In the case of many landscapes, the details are repeated in small and large scale, and it is difficult to have a proper proportion and perspective. The dunes and rocks are an example: without some reference, it is difficult to know if they are large or small in the distance. So, if you leave it somewhere for these to a backpack, even when made from fabrics of bright colors and highlights, there is a real risk of not finding it later, whatever that might mean. 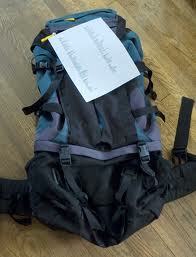 Furthermore, in a backpack is to transport you need, no more, no less. If there is a sense of worth to leave the pack for – for example – to find a way, is that it is carrying too much weight. 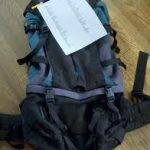 When walking through a wild place, leaving the pack means that you are carrying too much weight – which makes you start thinking, just to leave the pack and eased, at least for a while – and also discuss an unpredictable imprudence consequences, since it is abandoning equipment that could be vital for survival. Never rely on being able to return later, the change of lighting to spend hours a day, fog, bad weather, a blizzard, flood or the flood of a river can either hide the bag from view, or prevent return to where it is located. The exception to this is the is, of course, the camp itself. There you can leave your computer without worrying too much, obviously that should be familiar with the route back to camp, otherwise, one would risk getting lost. But a camp, to be larger and located on a site which after a few hours we will get easily, generally have fewer problems.